Is Your Website Traffic Sabotaging Your A/B Testing? In theory, A/B testing is an awesome idea. You’ve got people on your site who aren’t converting and—since anyone in their right mind would sign up for your product or offer—the reason you’re not getting more conversions must be some sort of user experience (UX) problem. Is this even the right guy…er, sort of traffic? The problem is, even if your website is perfect, it still won’t convert well if your traffic isn’t interested in the first place. Now, don’t get me wrong, I’m a big believer in A/B testing. With the right traffic, site testing can drive millions in added revenue. But, I’ve also seen a lot of companies struggle to get meaningful results out of their testing. Why did these companies fail? They were optimizing for the wrong audience. Driving the right traffic to your landing page is the underlying assumption behind A/B testing. After all, if you’ve got the right people on your landing page, the only obstacle to conversion is your ability to convince them that your product/offer is something they want (a UX problem). Unfortunately, the assumption that you are driving the right traffic to your landing page is rarely accurate. For example, in the past two years, we’ve conducted over 2,000 AdWords audits at Disruptive. Amongst all those audits, we discovered that 61% of AdWords budgets are spent on search terms that never convert. So, even in pay-per-click marketing, where you have the greatest ability to target your ideal audience, the average company spends 76% of its budget on traffic that has no chance of converting. Is it any wonder, then, that only 1 in every 7 A/B tests is a success? Now, A/B testing can be a lot more effective than that, but only if you have the right traffic to your website. 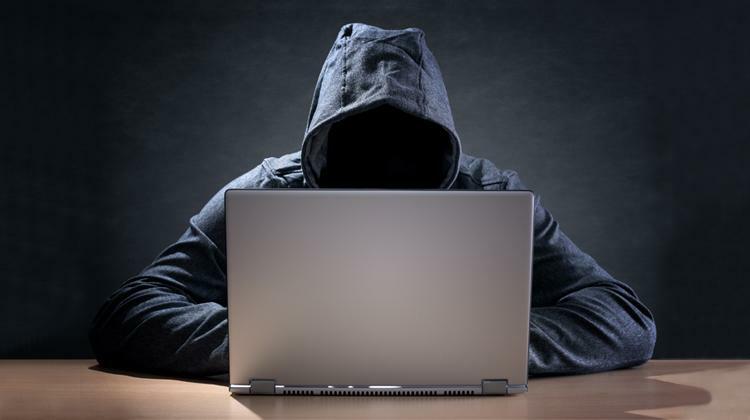 Who’s Really Visiting Your Page? Often, who you think you’re targeting isn’t who you’re actually targeting. For example, in most AdWords campaigns, 6% of the keywords produce 100% of the conversions. That means 88% of your keywords are driving the wrong traffic to your landing pages! So, if you’re looking for a quick way to improve your conversion rate, try putting more of your PPC budget towards search terms that actually produce (by the way, to learn how to quickly identify your worthless search terms, click here). At the time, it seemed like a good content marketing idea and—when our blog traffic suddenly went through the roof—it seemed like we had hit a homerun! In fact, for the next year, we had more site visits to that blog post than to any other page on our site (including our homepage). However, all that traffic didn’t turn into conversions. To date—after more than 2 years—we’ve yet to have a single conversion from that blog post. On the surface, the article should have been a runaway success. Our post was showing up on the first page of Google and driving a 50-200 clicks/day. Unfortunately, it was showing up when people searched “Freddy Krueger”. As a result, the audience we were driving to our blog was not the kind of audience that was interested in what we had to offer and—not surprisingly—no one converted. It wasn’t that our content was bad or that we had a misleading title. Our audience was simply wrong (and possibly homicidal…). You can see the same sort of problem with social media ads as well. 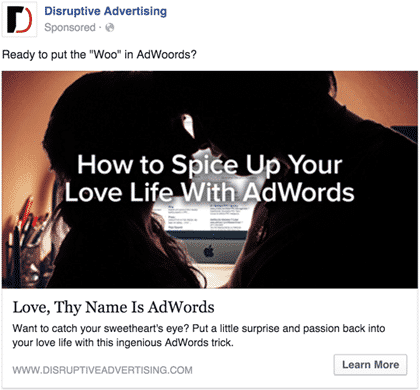 A few months back, I promoted a blog post on Facebook entitled “How to Spice Up Your Love Life With Google AdWords”. After promoting quite a few posts on Facebook, I had identified what I thought was a fairly good target audience. However, when I promoted this post to that audience, my conversion rate went down. Now, as a digital marketing agency, we don’t typically get a ton of clicks from pentagenarian women, but apparently they were resonating with the whole “Spice Up Your Love Life” angle. In both of these situations, A/B testing could have improved our conversion rate, but ultimately, Freddy Krueger fanatics and romantic retirees simply aren’t likely to fill out a digital marketing lead gen form—no matter how great the page is. Moreover, even if we could figure out a way to make the page effective for this sort of traffic, the leads would never turn into a sale. And if the traffic doesn’t turn into a sale, it doesn’t matter whether or not you can turn it into a lead—it’s the wrong sort of traffic. So, how do you make sure you’re sending the right traffic to your landing page? Here are 5 things to think through before starting your next A/B test. Before you even start working on ad copy or a landing page, you should first take the time to do a little research on your target audience. Have you advertised to this segment before? What worked? What didn’t? If this is a new audience for you, talk to some people in your target audience. Run a couple of ideas past them. Often, what works for you doesn’t work for your audience. What’s the best way to target your audience? Are there certain intent-based keywords they use? Certain interests on social media? Do they have a certain income level, fashion preference or other defining trait you can use to target them? Once you’ve nailed down these details, use them to build your targeting schema. A little bit of forethought can save you a lot of wasted ad spend. Unbounce’s Oli Gardner is fond of saying that landing pages should “maintain the scent.” In other words, the content of your marketing material should match the content of your landing page. The reverse is also true. If you want to market a particular product or offer to a specific audience, your ads need to connect the needs and interests of your target audience to what they will find on your landing page. Ideally, your message should be so well crafted that only people who would be interested in the content of your landing page will click on your ad and—when they actually hit the landing page—they should immediately feel like they’re in the right place. Expanding on the previous point, it’s perfectly okay to have different marketing material and different landing pages for each type and subtype of audience. Remember, each audience has different reasons for coming to your landing page and will respond to your page in unique ways. So, the more audience-specific you can make your ads and landing page, the more likely they are to convert. Depending on your advertising medium, there are a variety of ways to do this: single-keyword ad groups (SKAGs) for PPC, social media targeting options, YouTube interests, etc. Just remember, the more granular your ads and landing pages, the better your conversion rate will be. Great analytics is the key to online marketing success. If you don’t know where your traffic is coming from, which traffic sources convert best and which turn into sales, you’re never going to get very far with your A/B testing. According to Hubspot, only about half of online marketers track the success of their campaigns. For the half who don’t have tracking set up, their campaigns have a 97% failure rate. It’s kind of hard to A/B test yourself out of those odds. At a minimum, get AdWords conversion tracking and Google Analytics set up (wondering how? click here for AdWords and here for Analytics) and then actually start looking at the data. If you can, finish the job by integrating your leads into a CRM like Salesforce so you can really see which traffic sources are actually producing revenue. Finally, as your analytics starts to reveal which traffic sources produce conversions, reduce your spend in the areas that aren’t as helpful. You don’t have to keep spending that wasted 61% of your ad budget on search terms that will never convert! Instead, create a testing budget for exploring new traffic or targeting opportunities and focus most of your budget on known winners. And, since you’re now pointing the right sort of traffic at your landing pages, you can expect your A/B tests to really start producing. You’ve got the right audience on your page, make sure the user experience is irresistible! Traffic optimization and A/B landing page testing go hand-in-hand. If your traffic isn’t a good match for your landing page objectives, your conversion rate will always be bad. On the other hand, sending great traffic to a terrible landing page won’t win you many conversions either. Traffic and testing—you need both to succeed online. By the way, if you’d like me to take a look at your web traffic (or testing, for that matter) to help you get more out of your marketing campaigns, let me know here or in the comments! I’d be happy to help. You’ve heard my two cents, now it’s your turn. How have you seen bad traffic undermine a great landing page? How do you make sure that your traffic and your landing pages are as effective as possible?